Contrary to what you may think, you may not actually need to shell-out a lot of cash to buy a washing machine. With as low as 18,000 Naira, you can buy a compact washing machine in the country. 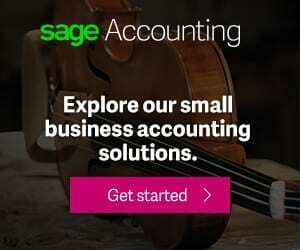 Mini washing machines may not be as sophisticated as larger models, but they get the job done and their portability can be an advantage in certain situations. Make no mistake, compact washing machines with capacities of 1.5kg, 2.5kg, or 3kg are not for everyone. They usually can’t handle large amounts of clothes. 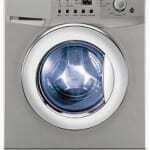 However, they can come in handy in washing clothes for your baby, toddlers, or kids as well as washing undergarments. A standard 1.5kg portable washing machine can take about three adult clothes at a time, while a 2.5kg mini washer may be able to handle up to 9 adult clothes. So, compact washing machines are great if you are raising kids and cannot afford larger top loaders or front loaders. Mini washing machines may also serve students or bachelors and spinsters in general. They are portable and require no installation. You can easily carry it to your wash area (like inside or near your bathroom), just connect it to a standard power point and you are good to go. 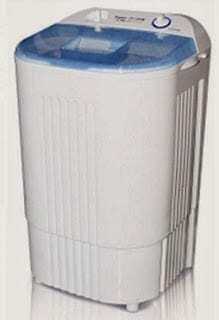 After washing, the portable washer can easily to carried to its storage location, saving space. 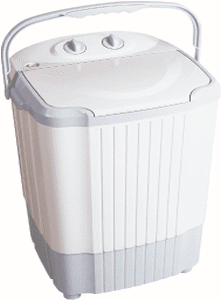 Icegate, Polystar, QASA, Midea, Century, and Haier Thermocool offer a couple of portable washing machines in Nigeria with prices ranging from 18,000 Naira to 35,000 Naira. 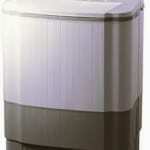 You can buy compact washing machine at leading online stores in Nigeria. An original compact washing machine will come with a one year or two years warranty.